To ensure maximum efficiency of our services, the engineers at Irmis Ltd. plan and design every project keeping in mind all the petty details of the customer’s requirement to facilitate operations successfully for years to follow. Irmis is also established for paying careful attention that all its designs are in compliance with the local and federal regulations governing the area so that our customers face no problem at their facility. 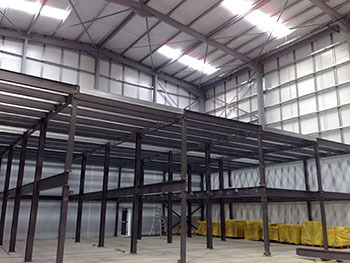 Irmis Ltd. is trusted in Ireland for providing professional engineering storage systems services for over number of years and is fully insured and certified. Irrespective of whatever our customer’s space requirement is our expert engineers can always tailor a solution that is able to facilitate and manage records or inventory problems along with ensuring safety of both employees and customers. Our services are not limited to designing only rather we are equipped to offer full services at every phase of the storage system process. Not only do our experts offer high quality shelving and racking systems, but our experts are also ever ready to offer support for project management, facilitating coordination among all elements working in your space. Irmis Ltd. services are also recognised to be always within the decided budget of a customer along with being precisely on time. Irmis Ltd. 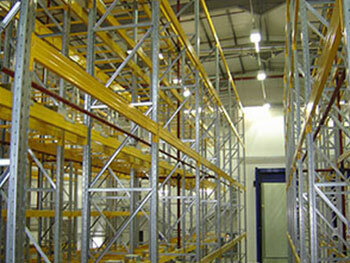 Storage Systems offers a wide range of Commercial and Industrial storage solutions covering full services all over Ireland.